Chop all veggies. 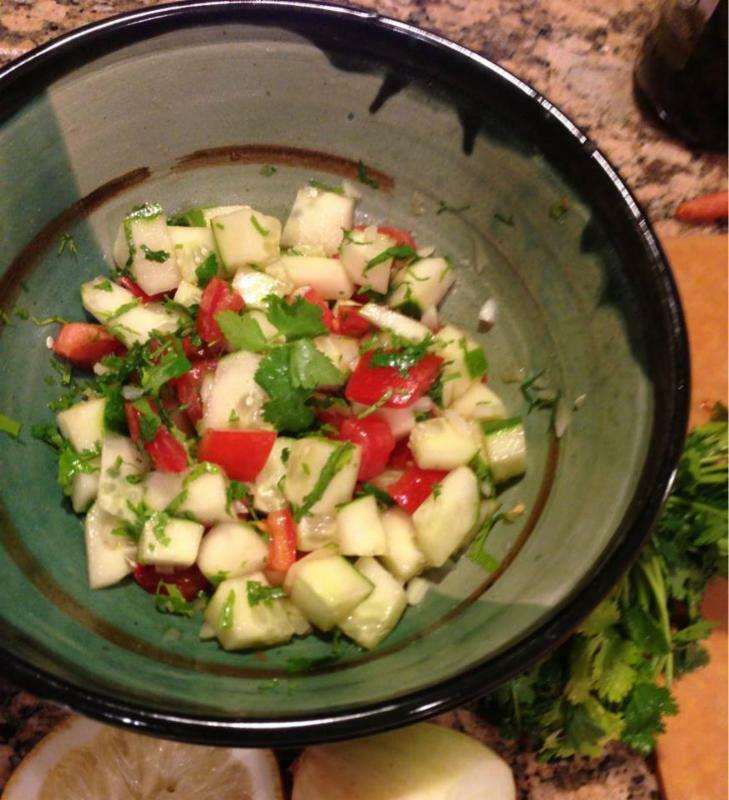 Toss the cucumbers, tomatoes, onions, in a bowl. Drizzle the olive oil and lemon juice over the salad and toss to coat. It tastes even better if you can allow it to chill in the fridge for a couple hours first while the flavors meld. Some people also like to make this with about 1-2 tsp white vinegar mixed in to help the flavors pop!